Thanks to powerful performance, superb handling and a long list of standard and available amenities, the 2018 BMW 4 Series makes a great choice for many drivers. At BMW of Westchester, we’ve compiled this guide reviewing the different trim levels offered in the 4 Series. For drivers in Westchester County, Yonkers and Hartsdale, along with the different trim levels, there are various body styles to choose from, which we’ll discuss. Coupe: A sleek two-door coupe, originally derived from the 3 Series. Gran Coupe: This is the larger, 4-door version of the Coupe. Convertible: This is also a two-door coupe, complete with retractable hard top. All of these styles can be found in each of the following trims, except for the M4, which does not carry the Gran Coupe body style. The most important difference between these trims lies in the engine power, so we’ll discuss a lot of the standard and available features here. To start with, understand that the Coupe and convertible 4 Series models provide seating for four, while the Gran Coupe seats five. That’s true on the 2018 430i trim. On this trim, drivers will find a turbocharged 2.0-liter 4-cylinder engine, available in 6-speed manual or 8-speed automatic setting. It brings the power, to the tune of 248 horses and 258 lb-ft of torque, convenient for the highway but nimble enough to handle tight turns in the city. Standard features in the 4 Series include a moonroof to let a little light in, Bluetooth® technology to stream music or make hands-free calls, and the iDrive infotainment system. The infotainment system comes with a 6.5-inch display screen, with the ability to upgrade to an 8.8-inch screen. There are different packages offered on each trim. On the 430i, the Premium package brings heated front seats for complete comfort when it’s cold out, while the Luxury package upgrades the audio system to a Harman Kardon® set-up with 16 speakers. The engine on this trim is a 320-horsepower 6-cylinder, providing a bit more power than the 430i, along with more spirited handling. The same standard features exist, and the packages on this trim are the same as the 430i. But, the more powerful engine makes this trim a worthy choice. The coupe is the base model on this trim and brings a 3.0-liter twin-turbo I-6 engine to the table, capable of producing 425-horsepower. With the Competition package add-on, horsepower can be increased to 444, with improvements to steering and suspension settings. With the 425-horsepower option, you can go from 0-60 mph in just four seconds flat, with incredible acceleration and performance to experience. Find your body style. Find your trim. 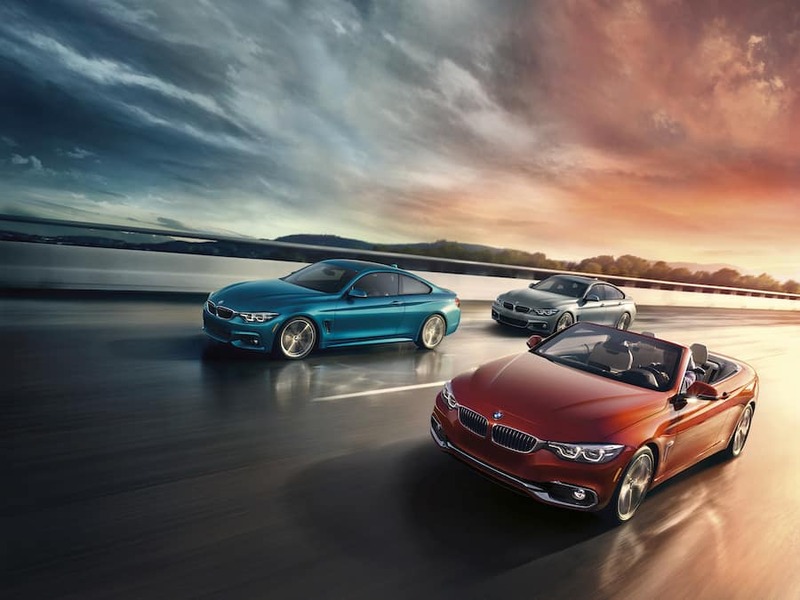 Find your 2018 BMW 4 Series. 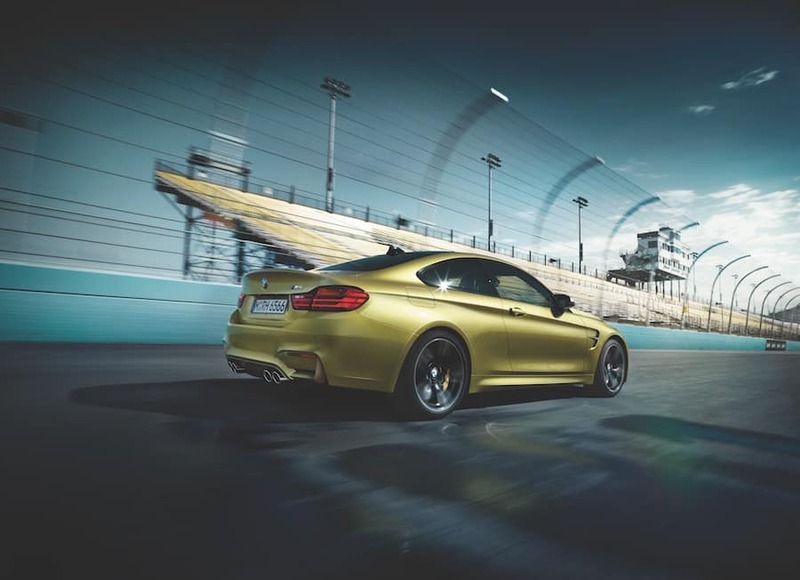 Through this review of the trim levels and body styles offered in the BMW 4 Series, you’ve had the opportunity to learn about this stylish luxury vehicle. Schedule a test drive today and experience it for yourself. Test drive the 4 Series for yourself at BMW of Westchester. We’re proud to serve drivers in Westchester County, Yonkers and Hartsdale, and look forward to meeting you at our showroom next!